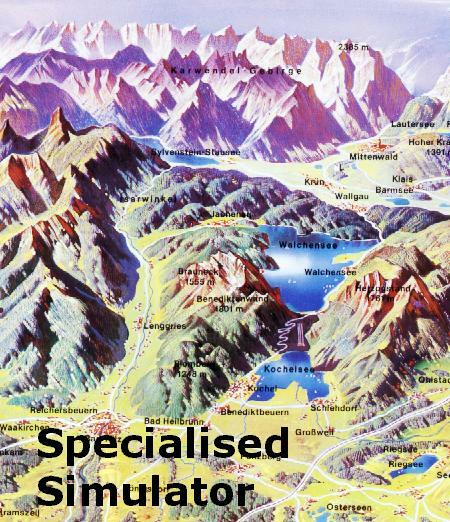 Please find below the full matrix of available simulators. Polish Register of Shipping (IACS member). What type of the simulator is needed? It is hard to expect that one simulator (even very sophisticated and very realistic one) will be able to fulfil all the above mentioned expectations. Higher requirements of a user, provoke the growing complexity of the engine room simulators, their higher cost and longer development time. On the other hand, the rapid changes in the engine room equipment and control techniques require a lot of flexibility in the simulator architecture. The need for the different simulator type can be very well illustrated, when using the map choice problem as an example. Let’s assume that one wants to travel by car from the hotel in Braunschweig to the Expo 2000 in Hannover (both towns are in Germany). In order to plan the route not only the road map of Germany will be needed but the city plans of both towns as well (see Figures1 and 2). 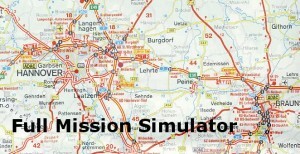 Figure 1: The Analogy Between The Country Road Map And Full Mission Simulator. Transferring this example to the marine training world; one can say that the country road map is like a full mission simulator – most complex, most comprehensive and covering the full scope of the engine room systems. However, due to its complexity this kind of a map (and also a corresponding simulator type) cannot be very precise and go deeply into details. By the way, if too many details are put into the country road map (or full mission simulator) it will become huge in size and not convenient for use. 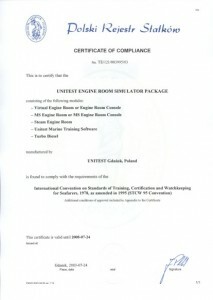 In the case of an engine room simulator its extreme complexity and detailed architecture means very high cost what is also very important. 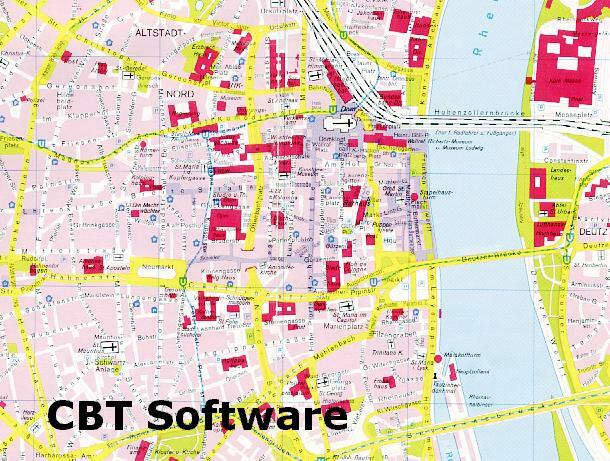 Figure 2: The Analogy Between The City Plan And CBT Software. The city plan on the other hand, should be very detailed (sometimes it includes also the house numbers) but covers only a very limited area. Let’s try to identify two other simulator types using our cartographic example. 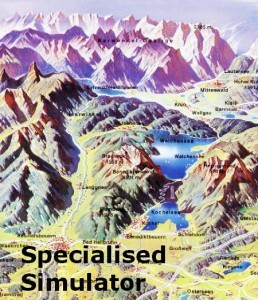 The specialised simulators are like specialised maps – the tourist maps or the hotel maps for example. This kind of a map (see Figure 3) contains a lot of specialised information (say places of interest, bike roads, tourist paths or hotels) but sometimes other pieces of information are completely omitted – the size of cities or highway connections for example. The specialised simulators can have higher accuracy of simulation in certain aspects but they will be probably very limited in the scope of the simulated systems. 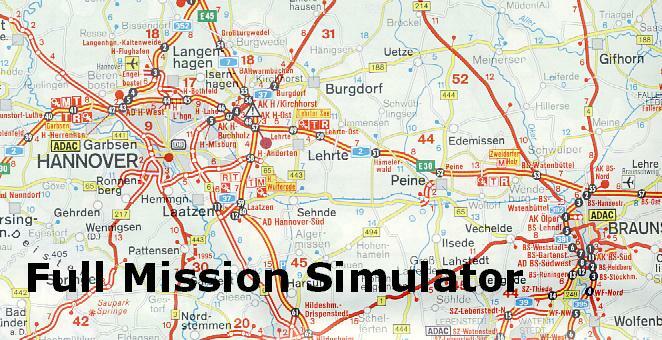 It is not so easy to find the right analogy for the PC based simulator, but maybe it can compared to the map on CD. 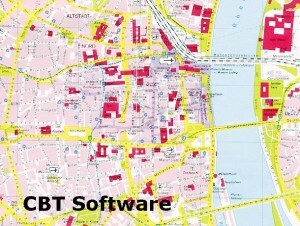 The map on CD can be used only in personal computers and offers several unique features like route planning, distance calculation, zooming etc. The PC based simulator has also several features, which are not typical for full mission simulators: integrated checklists, integrated assessment etc. Table I: The Analogy Between Different Map And Simulator Types.